There is no question that a picture is worth a thousand words … and a million smiles. As I was clicking through Naomi and Michael’s wedding photos shot by Adachi Photography, I couldn’t help but laugh with joy, giddy with the happiness that my heart shares for this youthful, energetic couple. 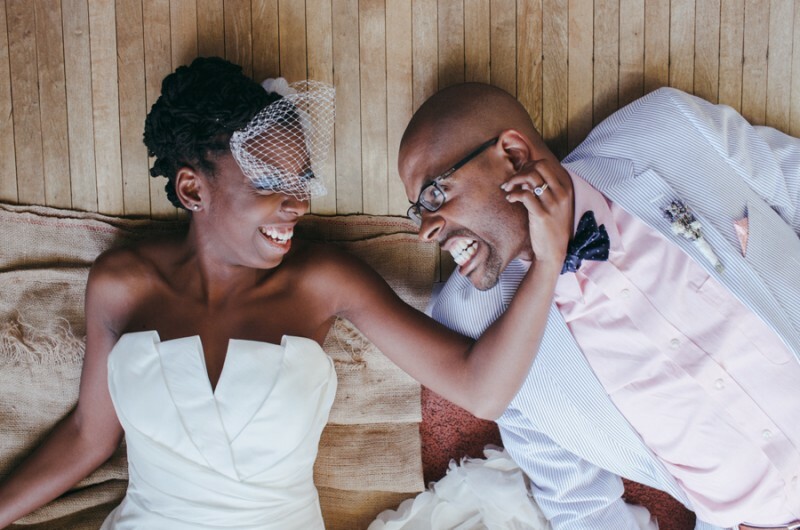 As a previous employee of Smith Memorial Playground in Philadelphia (which features six and a half acres of playground space as well as a “play mansion “… sign me up, please), Naomi and her now-husband, Michael, knew they wanted to experience their special day in this beloved community landmark — the perfect place to personify their free-spirited essence. After Naomi and Michael had a “work” meeting to discuss collaboration between their individual organizations (here, Naomi lets us in on a little secret: “We had no intention of collaborating on work stuff, we just wanted to see each other again”), their mission to have an unofficial first date was foiled by illness. However, the gallant Michael did not let the sick bug prevent him from seeing his soul mate. “He insisted on coming over and bringing soup, so I obliged, swollen face and all. Fast forward a couple of weeks, major surgery and an emergency weekend in the hospital, we had our very first date in March 2012. And the rest, my friends, is Black History,” laughs Naomi. Just as important as community involvement on Naomi and Michael’s list of priorities is the love they have for those who are close to them. 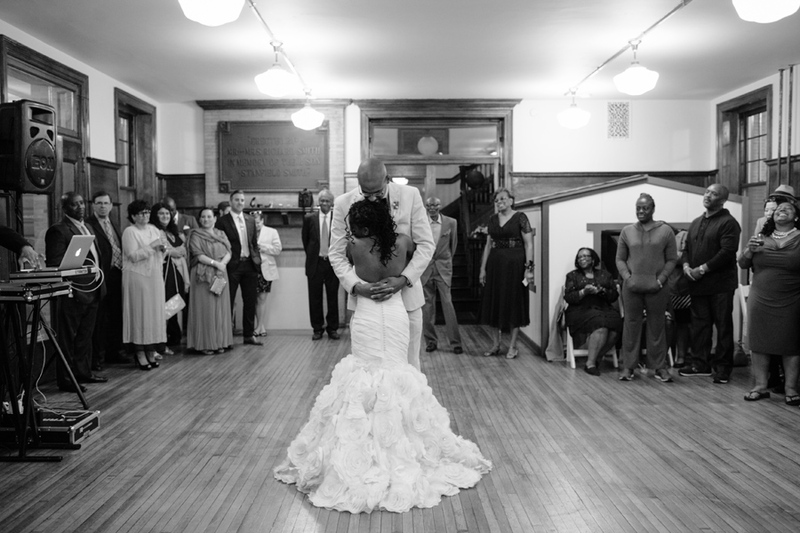 To show how much they cherished the presence of their loved ones at their wedding, family and friends were integrated into the ceremony in every way imaginable. “We had two poems that were performed by our brothers,” Naomi tells us. “My brother recited Love Is by Nikki Giovanni, and Michael’s brother recited The Key to Love, which was written in 1st-century China.” In addition to these powerful and meaningful words, guests were also treated to intimate musical performances. “During the ceremony, one of the Best Men and two more of my husband’s friends performed a song by his favorite band, Roxy Music.” What really struck a chord with me regarding Naomi and Michael’s ceremony, however, was that their guests participated in a Vow of Community Support. “We asked our family and friends to support and protect our marriage,” Naomi declares with pride. It stated: Everyone gathered here today, before you stand two people who love you very much. Do you promise to encourage and inspire their dreams? To accept them not only as individuals, but as a couple? To be their friends and their support, today and every day to follow? Not only do our couples have huge hearts and vibrant spirits, but their fashion sense is suavely eccentric. “The dress I found was absolutely nothing like I thought I would wear, but the minute I put it on, I knew it was the one,” the blushing bride tells us. Naomi looked stunning, her electric smile accentuated by her birdcage veil and headpiece. The biggest hit of the evening were the food trucks — all three of them. You can’t deny that food trucks are definitely the latest fad, and they sell every type of food you can think of (waffles, Mexican, donuts, Greek, etc.). “We knew we didn’t want a traditional sit down dinner, so we contacted three of our favorite food trucks and asked them if they could park on the front lawn of our reception site, and they were all for it! We had a great burger truck, a taco truck and another American comfort food truck. Our guests walked up to the trucks and ordered from the menu!” exclaims the couple. As for the dessert, Naomi and Michael chose to go with assorted flavors of cupcakes and an ice cream sundae bar. They still proceeded to cut a smaller cake at the end of the evening for a different purpose, the action itself symbolizing unity and togetherness. How “sweet”!